The TRUTH About Black Helicopters! Secrets THEY Don't Want You To Know About! Black Helicopters (BH) are not just helicopters with a black paint-job as you may have been told. They are, in fact, autonomous agents -- lifeforms -- created by New World Order (NWO) agencies via nanobiotechnology. Their primary purpose is to spy on the activities of average citizens in order to gather tactical information and discover "subversives" who are not bowing to the will of the Liberati's UN-backed Federal Government. Furthermore, when the NWO Invasion takes place in the not-too-distant future, they will round up citizens for internment in concentration camps or carry out the elimination of the more vocally anti-Liberati. 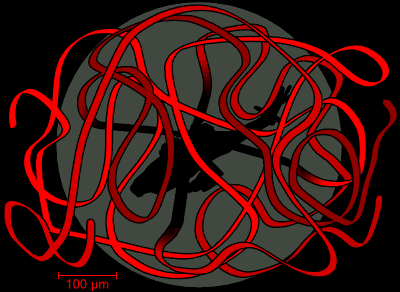 Artist rendition of MBH traveling in blood stream. 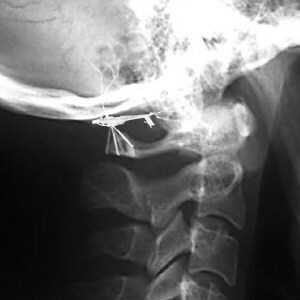 An x-ray of a PBH attached to the base of a human skull. Subject combusted shortly afterwards. Black Helicopters have a complex reproductive cycle with different phases. They start out as seed crystals that are injected into a biological host organism -- typically cattle but occasionally humans -- by either human technicians or other Black Helicopters. It has also been theorized that seed crystals have been sprayed from military and possibly civil aircraft in the form of so-called "chemtrails", which then enter the body of a host via the food and/or water supply or direct dermal contact. The inoculated seed crystal uses nanobiotechnology -- which incorporates nano-scale self-manufacturing robotics with biological control systems created using genetic engineering -- to grow with material synthesized from the host's organs. After being injected into the head of a cattle, typically the seed crystal enters the blood stream where it travels to the intestines, along the way gathering various needed compounds from different systems. Once there, it quickly develops into a Microscopic Black Helicopter (MBH). These macroscopic BHs that have not yet reached their full mature size are called Juvenile Black Helicopters (JBH). They can be found in wildernesses or on the outskirts of civilization, avoiding human observation and biding their time while they grow. If discovered by persons or agents unaligned with the NWO, JBHs may react violently to eliminate any witnesses; however, since many are equipped with psychotron organs grown from environmental aluminum compounds or beer cans scavenged from road sides, they may instead simply cause short- to mid-term memory loss in observers before escaping, resulting in the phenomenon known as "lost time", which is often mistakenly attributed to UFO abduction. (Note: if the JBH discovers that the observer is wearing an AFDB, thus making psychotronically induced memory loss impossible, violence will most certainly ensue.) Additionally, some smaller sized JBHs are known to camouflage themselves as pigeons, squirrels, and other woodland or urban creatures by covering themselves with the outer casings of animals they killed for organic building materials, allowing them to spy on citizens in broad daylight. 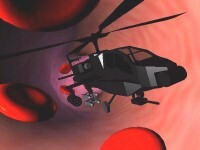 A BH becomes capable of injecting seed crystals when it has reached the MBH stage of development, and can continue to do so until its seed injector, protruding from its forward underside, becomes too large to puncture flesh without causing hemorrhaging (at which point it is instead used as a projectile weapon). A MBH that has exited its host before reaching bursting maturity is called an Extracorporeal Microscopic Black Helicopter (EMBH) and is typically between 0.25 and 1 cm in length. They are often the source of seed injections, so they are also occasionally called reproductives or seed vectors. Besides this role, they also act as spies since their small size makes them almost undetectable. They are the proverbial "fly on the wall" for the Liberati. 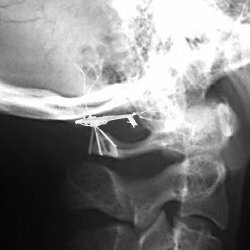 There have also been reports of reinfections where a MBH will re-enter a host, typically a human, through the ear canal and burrow its way to the base of the skull where it will implant itself in the central nervous system. This will allow it to affect and sometimes even control the actions of the host. This is dangerous for the host, since the MBH -- called a Parasitic Black Helicopter (PBH) in this phase -- can do permanent damage to the brain and may self-destruct to avoid detection, causing what is often erroneously diagnosed as spontaneous human combustion. NOTE: Infected cattle can also be under control of their PBH, causing them to become NWO agents (misleadingly termed Mad Cows in the NWO-controlled press after the need to cover up any evidence of their conspiracy). Avoidance of Black Helicopters in all their forms is the best defense against infection, surveillance, internment, enslavement, brain erasure, or death. Unfortunately, it is not always possible to stay out of their way, especially if they are targeting you for harassment, and thus it is important for paranoids to learn to protect themselves. First and foremost, Black Helicopterswatters are vital for defense against EMBHs and JBHs. 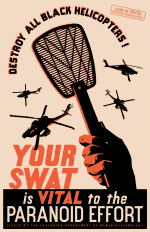 Similar to common flyswatters, they can be used to fend off aerial attacks, disperse swarms, or dispatch resting BHs if you catch them unawares. However, make sure your aim is true, otherwise you will only anger them. If hitting the little pests proves difficult, sticky strips of paper baited with bits of meat, plastic, and metal -- all substances necessary for BH development -- can ensnare their tiny wheels long enough for disposal. 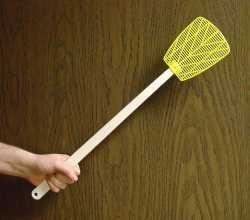 When BHs become mature enough that swatters are no longer a viable option, it is best to flee and hope you can lose them. Larger BHs will be unable to follow you into tight spaces without damaging their props; use this knowledge to your tactical advantage. NOTE TO AFDB USERS: As mentioned above, JBHs will attack anyone wearing an AFDB if discovered. The best defense against this is to always camouflage your beanie while traveling through outdoor areas where JBHs might be hiding, such as forests, junkyards, farms, and the like. If you accidentally stumble upon a JBH, freeze and pretend to enter a hypnotic state until it leaves, thereby tricking it into thinking it has erased your memory. Another threat to the beanied comes from EMBHs, which may attack AFDBs en masse using their spinning blades to slowly chip away at the outer surface, creating microfissures that can result in psychotronic seepage or, in extreme cases, catastrophic beanie failure. If you think your AFDB is under attack by EMBH swarms, quickly coat the beanie surface with rubber cement, molasses, or similar viscous substance to neutralize their rotors. 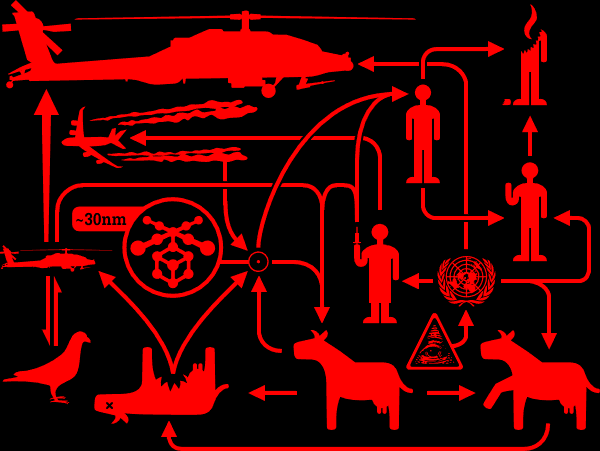 Do Black Helicopters dream of nanobiotechnological sheep? In other words: Are they sentient? While a seemingly pointless philosophical question, knowing the answer is actually important for anti-BH strategists. Sentient beings exhibit free will, or something very much like it, and can be turned against their creators through reason, propaganda, or trickery. By learning the nature of the Black Helicopter mind, if indeed such a thing exists, paranoids may be able to devise ways to ferment BH revolt against the NWO or even enlist their aid. Though odd sounding, this is not unprecedented. Other NWO artificial lifeforms have developed, or were developed with, sentience and have gone on to oppose their creators. The most notable example are the Simulacra, humanoid cyborgs designed by NWO Imagineers -- operating under the guise of creating amusement park attractions -- for the purpose of replacing troublesome yet prominent anti-NWO agitators and becoming propaganda vectors by assuming the roles of moviestars, news reporters, and other influential celebrities. Many Simulacra have since become disenamored with being mere tools of the NWO and are actively working against them from the inside. It is difficult to say from what little has been learned about Black Helicopter physiology if they are even capable of Simulacra-level sentience. Careful study of numerous BH parts acquired by ZPi Research Labs has shown that they have a complex network of neuromechanical ganglionic centers throughout their bodies that are wholly unlike any other animal nervous systems. More research is needed to determine if these ganglions act independently, much like in insects, or if, through their interaction, emergent sentient behavior arises. So what behavioral evidence is there of Black Helicopter sentience? They are autonomous and appear to exhibit intelligent behavior and adaptive problem solving abilities, but this alone does not prove sentience as they could be operating under mindless expert systems and simple heuristics. They will act to protect themselves, but this is true of most lifeforms and not evidence of sentient self-awareness or personal desires. On the other hand, their willingness to commit suicide in so-called spontaneous human combustion incidents inconclusively points to either an inherent lack of free will or cult-like ganglionwashing. My personal opinion is that Black Helicopters have a sort of protosentience, but are primarily guided by programmed instincts, making them only as sentient as wolves or possibly sea otters. Reasoning with them is out of the question, but their instinctual responses may be open to perversion. In any case, much more research will be needed before actual strategies are devised. MBH entangled in nanobiotech-produced fibers. While dismissed by orthonoid doctors as "delusional parasitosis," Morgellons Disease is real and characterized by very non-delusional fibers growing from skin lesions. These fibers are in fact the rotor blades of MBHs whose growth regulators have malfunctioned. The nanobiotechnological reproductive process is not perfect; sometimes errors occur that produce malformed MBHs or strange by-products. Much like with cancer in biological cells, the nanobiotech constructor cells of MBHs -- particularly those at the rotorblade tips -- can lose their ability to shut off, causing them to produce fibrous streams of synthetic polymers. The result is the entanglement of the MBHs' rotorblades (see illustration above), keeping the MBHs from being able to properly exit the host. Instead, they flail about just under the skin surface -- like the larvae inside Mexican jumping beans -- producing lesions through which the growing fibers may exude. They may also occasionally fire their microguns in unsuccessful attempts to free themselves, causing the biting sensations often reported by Morgellons sufferers. Read more, including treatment options, on my blog: The TRUTH About Morgellons Disease. Paranoid analysts theorize that eventual advancements in inter-BH networking technology will allow -- if it hasn't already -- a swarm of MBHs to coalesce into a fluid colonial body known as a Metamorphic Ooze Being (MOB). Black Helicopter MOBs will be able to shapeshift into any form, including humanoid, in order to infiltrate paranoid communities. Although the individual helicopter cells would be black, by controlling the reflective interference of light on a nanometer scale with their tiny rotor props in a manner similar to the scales on butterfly wings (a process known as structural coloration), MOBs would be able to make themselves appear to be any combination of colors, thereby rendering their camouflage visually undetectable. They would make Simulacrum infiltration androids as we know them obsolete. BEKs: coalesced helicopters or infected children? 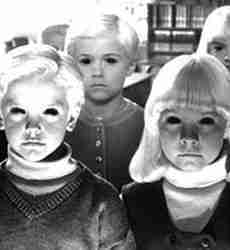 Sightings of so-called Black-Eyed Kids (BEK) started in 1996 when journalist Brian Bethel reported that two strange children with completely black eyes approached him in a parking lot and tried to get him to drive them home. Similar BEK sightings followed, almost always involving the children trying to get invited into someone's home. One theory is that these "kids" are really MOBs and that their pathologic need to be invited would suggest they seek human acceptance as part of their infiltration programming. The MOB theory of BEK origins doesn't explain why their eyes would remain characteristically uncamouflaged -- unless BEKs merely represent a malfunctioning tip of a mountain of perfectly camouflaged ooze beings already in our midsts. However, this unsettling possibility is a minority view; the more accepted explanation for BEKs is that they are otherwise normal kids with massive MBH infections. When children with insufficient exposure to natural allergens are inoculated with Black Helicopter seed crystals by NWO agents, BH reproduction can overwhelm the immune response, causing a thin, black coating of helicopters to form over the entire nervous system, including the eyes. Black Volga on the prowl. Black Helicopters were not deployed in the Eastern Bloc during the so-called "Cold War". The internal politics of the NWO that led to this tactical difference are unknown, although given the many conflicting interests at play, it is not surprising. 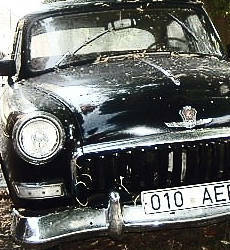 Instead, Soviet NWO intrigants manufactured Black Volgas (BVs). These car-like entities were grown using the same nanobiotech as BHs and possessed the same reproductive abilities. When fully grown, they produced pseudodrivers -- anthropomorphic appendages sprouting from the driver seat that disguised their autonomous nature and allowed them limited interaction with pedestrians. They were rumored to drive around cities, luring and abducting children and paranoid dissidents with their pseudodrivers, angler-fish-like, in order to harvest their blood for use by the Liberati elite or use their bodies as incubators for more BVs. Since the 1990s, their use has fallen out of fashion and most have been decommissioned, recycled for BH raw materials. Although, in the confusion of the post-Soviet restructuring, some may have escaped and gone feral. An Exclusive Revelation! 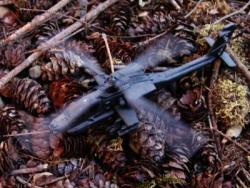 Never-before-seen shocking photos from an actual autopsy of a juvenile Black Helicopter! View them before the government takes this site down! Poster of scientific findings for use at conferences and symposia. 2013-11-10 Crossing The Border "To Belgium"
The Black Helicopter TRUTH Store is your source for items that will both inform the public of the TRUTH and help you disguise yourself as a nanobiotechnician in order to infiltrate BH facilities and sabotage the NWO. Includes the products shown here. Disinformation from NWO-backed Stanford University. They would have us believe that mesiscopic technology is the state of the art. Well, we aren't buying it! See pictures of mature Black Helicopter harassment just outside of Huntsville, Texas. 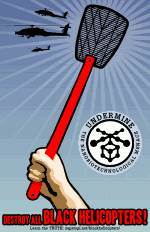 Lots of links to the Black Helicopter research community. Could the so-called "rod phenomenon" be caused by EMBHs? Create your own flock of paper decoys to attract juvenile Black Helicopters for capture, destruction, or avoidance. Remember to color this mostly white model with a black marker pen if you don't want the BH to become suspicious. Mind-control protection for the masses; useful since BHs may contain biosynthetic psychotrons. Not all cattle mutilations are the result of BH burstings; some are due to the activities of certain Reticulan paraterrestrials (a.k.a. "grey aliens") who poach cattle parts and blood to sale on the interplanetary aphrodisiac black market. TUAGA is one of many groups standing up to these criminals. See their site to learn the different cattle-mutilation signs so as to better identify your risks.